Leo III was Byzantine Emperor from 717 until his death in 741. 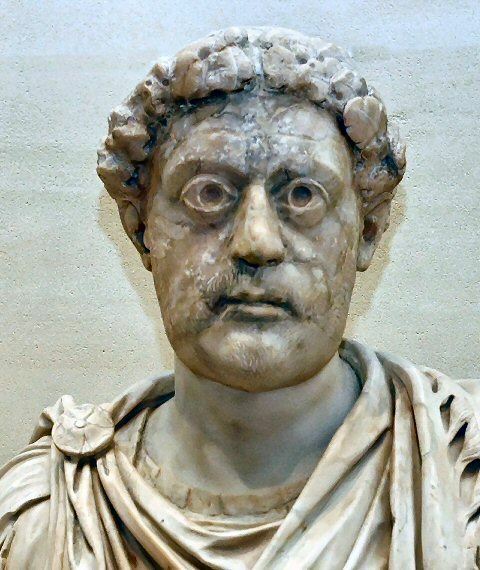 He put an end to the Twenty Years' Anarchy, a period of great instability in the Byzantine Empire between 695 and 717, marked by the rapid succession of several emperors to the throne. Leo, whose original name was Konon, was born in Germanikeia in the Syrian province of Commagene. He was appointed commander (stratēgos) of the Anatolic theme by Emperor Anastasius II. On his deposition, Konon joined with his colleague Artabasdus, the stratēgos of the Armeniac theme, in conspiring to overthrow the new Emperor Theodosius III. He immediately faced an Ummayad invasion, which he repelled in 718. Having preserved the Empire from extinction, Leo proceeded to consolidate its administration, which in the previous years of anarchy had become completely disorganized. His most striking legislative reforms dealt with religious matters, especially iconoclasm ("icon-breaking," therefore an iconoclast is an "icon-breaker"). His Iconoclast policies alienated large parts of the Christian world, not least Rome. Leo died of dropsy in June 741.